Diesel watches from Italian fashion designer Renzo Rosso are the innovative, tough, rugged watches that match the individuals who choose this power brand. Express yourself through design. 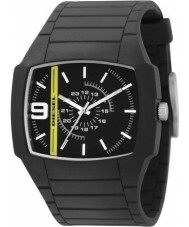 Modern, cool, trendy and standing out from the crowd Diesel watches are not run of the mill.